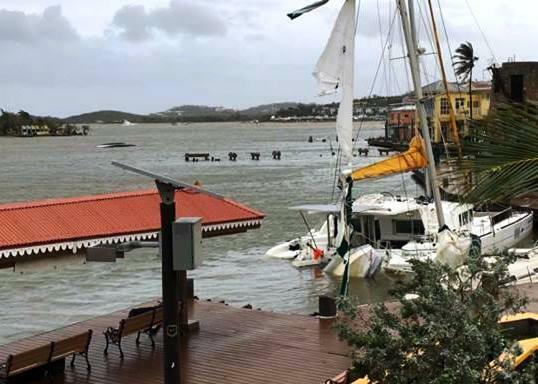 FREDERIKSTED — Three weeks after Hurricane Maria demolished St. Croix as a Category 5 storm at least 90 percent of the island still does not have electricity and many residents do not have running water or a place to stay to shelter them from torrential tropical rains that happen this time of year. During the aerial tour, Pence saw upended boats along the coast, blue tarps atop damaged homes and uprooted trees and vegetation. 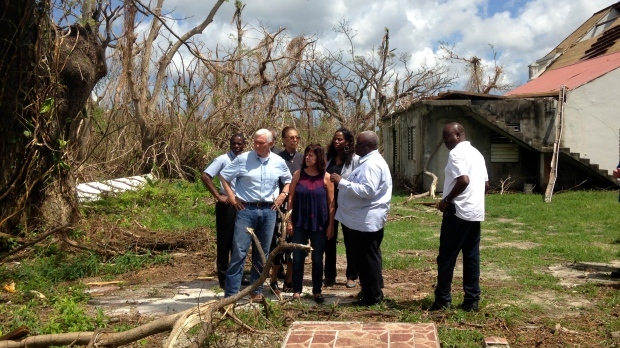 Pence had seen other damage earlier, when his plane flew over homes stripped of their roofs, toppled trees and debris strewn in yards as it arrived on St. Croix. Pence attended a briefing on recovery efforts at an Army National Guard hangar before visiting a church to meet with people affected by the storm. President Donald Trump had hoped to visit earlier in the week, but the White House said difficult logistics in the aftermath of the storm prevented his trip. “He wanted us to be here in the U.S. Virgin Islands to say very plainly and simply we are with you today, we will be with you tomorrow, we will be with you every day until the U.S. Virgin Islands comes all the way back,” Pence told local officials. Visiting with locals at a church, Pence invited his wife, Karen, the family “prayer captain,” to lead the congregation in prayer. “There is no country that responds to disasters like the United States of America,” Mapp said, adding that the island is making progress in its recovery from Hurricane Maria and expects schools to reopen on Tuesday. The vice-president traveled to San Juan, Puerto Rico, five days ago. The trip came days after Trump visited Puerto Rico and praised relief efforts without mentioning the criticism that the federal response has drawn.